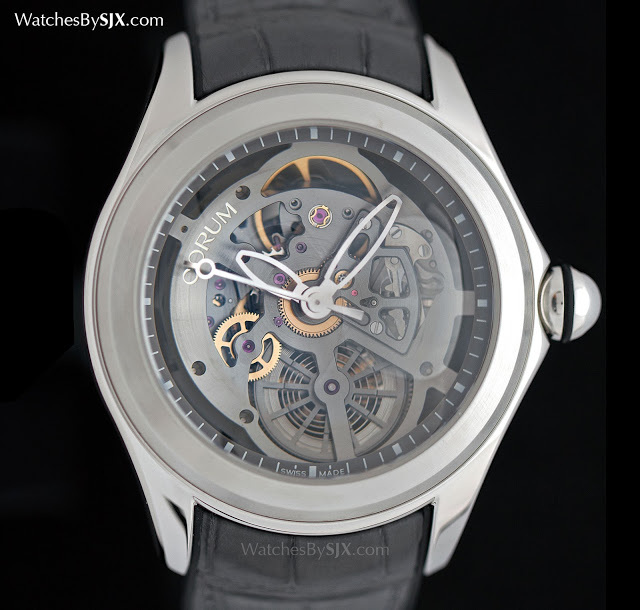 Named after the shape of its enormous crystal, the Corum Bubble was a runaway hit in the early 2000s, becoming a bestseller for a few, heady years. Now the Bubble has made a comeback. Almost exactly like the original but slightly larger, the Corum Heritage Bubble has the same exaggerated sapphire crystal, so thick it distorts the dial. The shape is immediately familiar, having been ingrained into the popular mindset given how fashionable the original Bubble was 15 years ago. 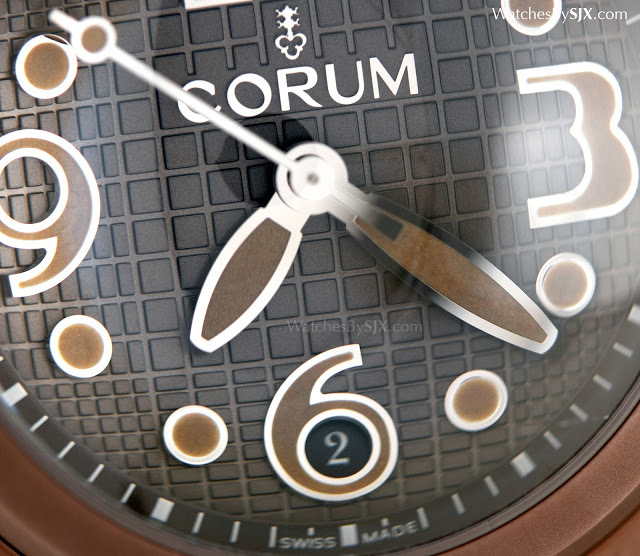 The origins The Bubble was first introduced in the year 2000, conceived by Severin Wunderman, an entrepreneur who bought Corum that very same year. A Holocaust and cancer survivor – hence his well known affection for skull and vanitas motifs – Wunderman made his fortune as the licensee for Gucci watches. His first stroke of genius was to set diamonds on affordable steel watches, the second to sell the franchise back to Gucci. 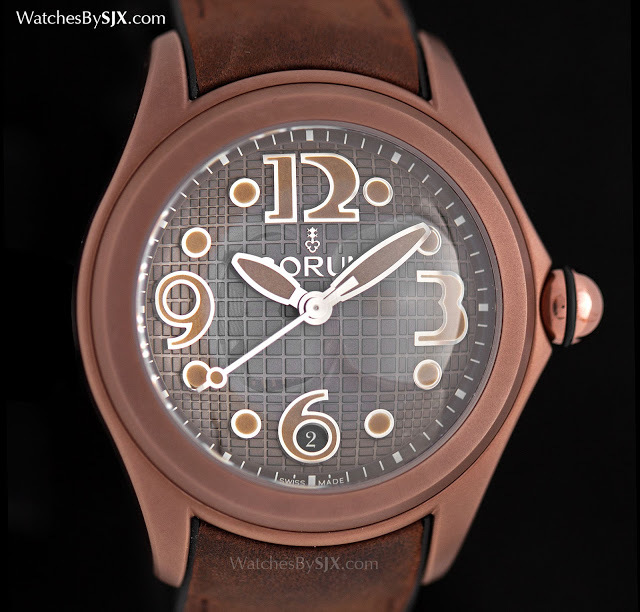 With the proceeds he bought Corum and turned it into a maker of diverse, offbeat and quirky timepieces. He was inspired by the Rolex Deep Sea Special, an experimental dive watch made in 1960 that survived the journey to the deepest point on Earth. The almost comically large domed crystal of the Deep Sea Special was used as the template for the Bubble, which is more crystal than watch. Wunderman’s creation was an immediate hit, and copied in even greater numbers (the other hot watch in that era was the now forgotten Technomarine). The comeback Although 15 years is not that long ago, the Bubble was reintroduced at Baselworld 2015 as a historical reissue. The Heritage Bubble is larger than the original, with a 47mm case – large but comfortable given the short and curved lugs – that measures 18.8mm high. 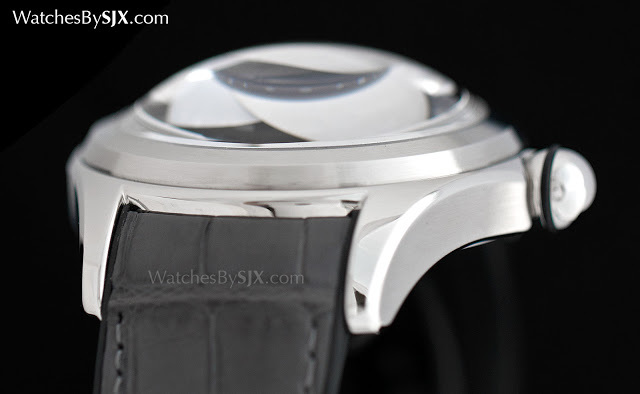 Nearly half its height, a full 8mm, is the sapphire crystal. Likely the most expensive component of the watch, the crystal’s thickness magnifies the centre of the dial while distorting the edges. And it makes reading the time from an angle impossible. 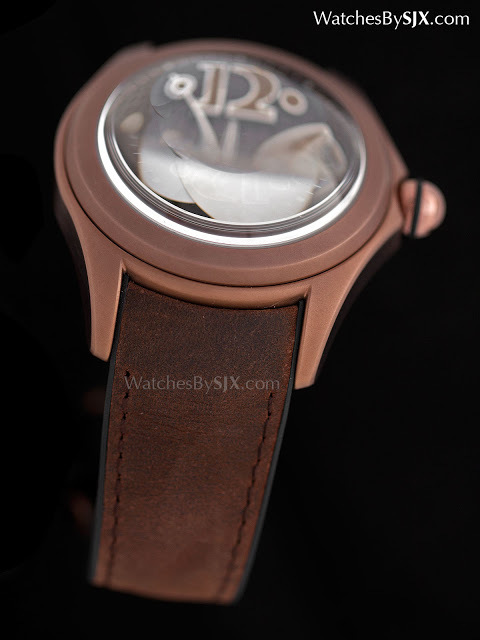 The effects of crystal are used to create an optical illusion on the two limited edition versions of the Heritage Bubble: the dial appears domed, although it is actually flat. The dials are brass and stamped with a checkerboard guilloche with squares that increase in size towards the centre of the dial, enhancing the optical effect. Limited editions Both limited edition versions of the Heritage Bubble have PVD cases. 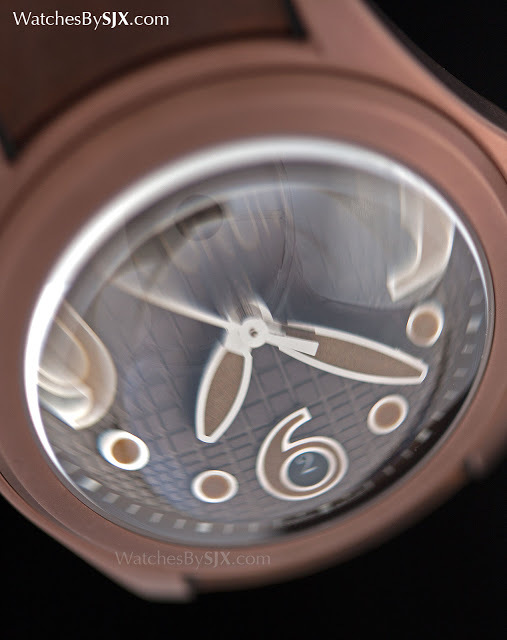 The first is made up of multiple shades of brown, with the case, dial, strap and even the Super-Luminova a different tone of the same colour. 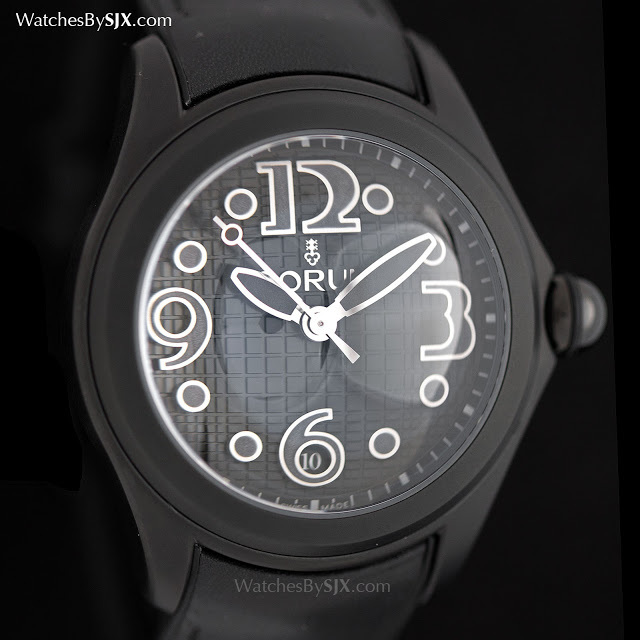 The next one is a conventional black on black, with a black coated case and black dial. It’s a monochromatic look that lessens the visual impact of the case shape. 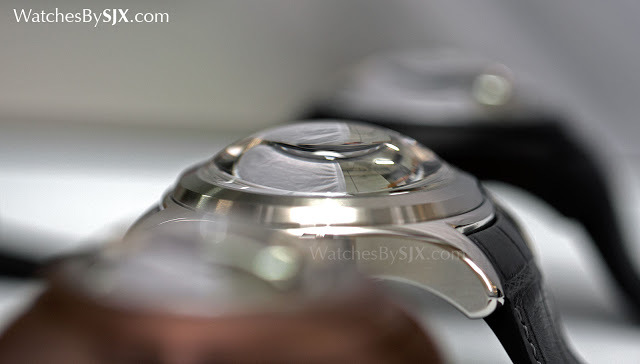 Both PVD versions are each limited to 350 pieces. Bubble skeleton Part of the regular collection is the Heritage Bubble Squelette, equipped with a skeletonised ETA 2892 movement. 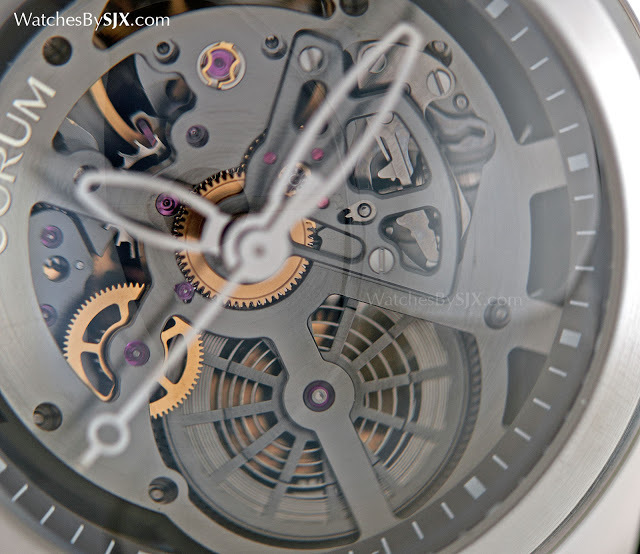 The movement is predominantly grey, with the handful of gilded wheels providing some contrast. The bubble crystal enhances the appeal of the open-worked movement, because of the slight visual distortion that makes it a little more interesting. 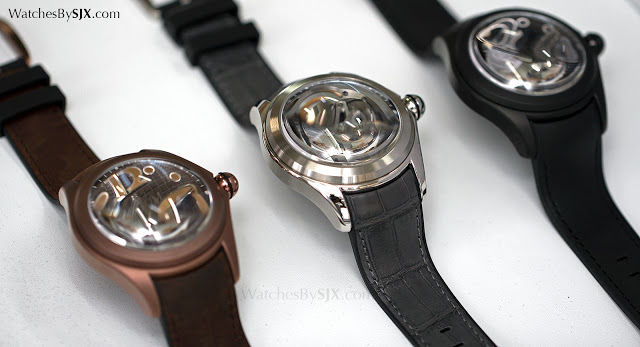 Limited to 350 pieces in each colour, the Heritage Bubble PVD retails for US$3425 or €3300 or S$5457. 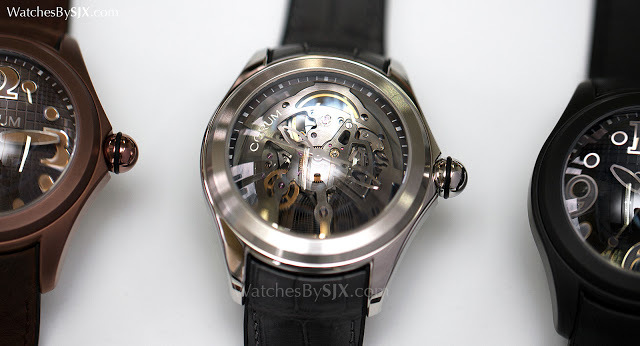 And the Heritage Bubble skeleton is priced at US$8300 or €7950 or S$13,268.